A timeline of adventures while studying architecture in Barcelona for the fall semester. 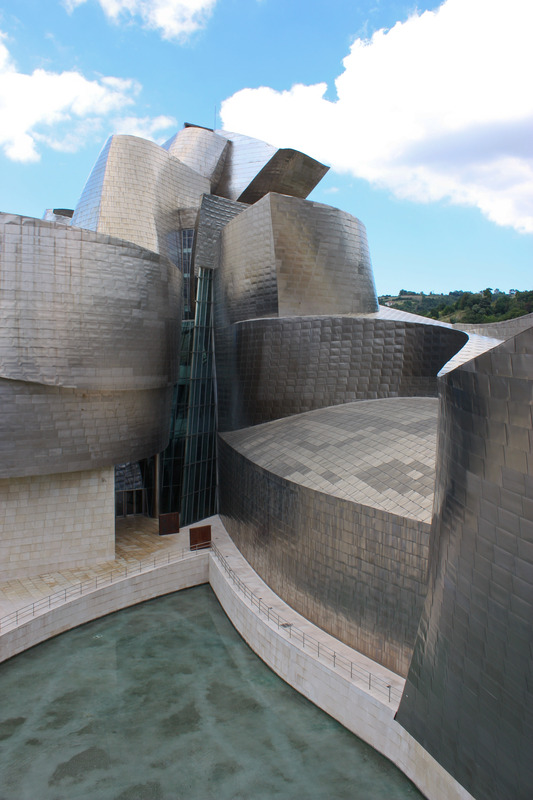 After spending several days in Madrid, we packed up the bus and headed north to Bilbao. We arrived at our (4-star) hotel in the late afternoon, and decided to take the rest of day off because 1) we were to tired from the trip/seeing things in the morning in Madrid and 2) because the lunch stop that we all ate at was terrible and gave everyone stomach problems. So we took a siesta and then the whole group headed out into the city. We happened to be in Bilbao at the best time of the entire year. There were two days left in their annual regional festival. The very last night is reserved for a giant fireworks display and a more mellow closing fiesta. That, however, means that the second to last night is pretty crazy. So we were out in the old part of town on the second to last night with all of the locals and people from all over the Basque country having a good time. They have food stands, vendors, bars, and live music throughout the whole city basically. We found out that their drink of choice for this festival is called Kalimotxo. Kalimotxo is a mixture of equal parts wine and Coca-Cola. And yes, both were on tap. The next morning we walked over to the Guggenheim Museum. I can’t begin to describe how powerful this building is. It finished construction in the late 90’s, and completely revitalized Biblao. Before it was built, the center of town, where it is located, was a sort of abandoned industrial zone that nobody would ever want to go to. Now, it is the glistening focal point of the city, and brings visitors from all of the world. It ties into the old city fabric on the upper hill side and then draws the water in from the river so that it effectively stitches the city to the river that allowed for its creation in the first place. The collections inside were equally as impressive. Richard Serra, one of my favorite sculptors, has a permanent wing in the museum, which houses some of his giant Corten objects. A huge collection of Anish Kapoor’s work was on the second floor, which was highlighted by a room full of non-uniform mirror surfaces that distorted visual perceptions. Unfortunately we weren’t allowed to take pictures inside the museum though. That evening was the closing ceremonies for the festival. It started out with a barge floating down the river shooting off small fireworks while simple, slow orchestral music played over loudspeakers. 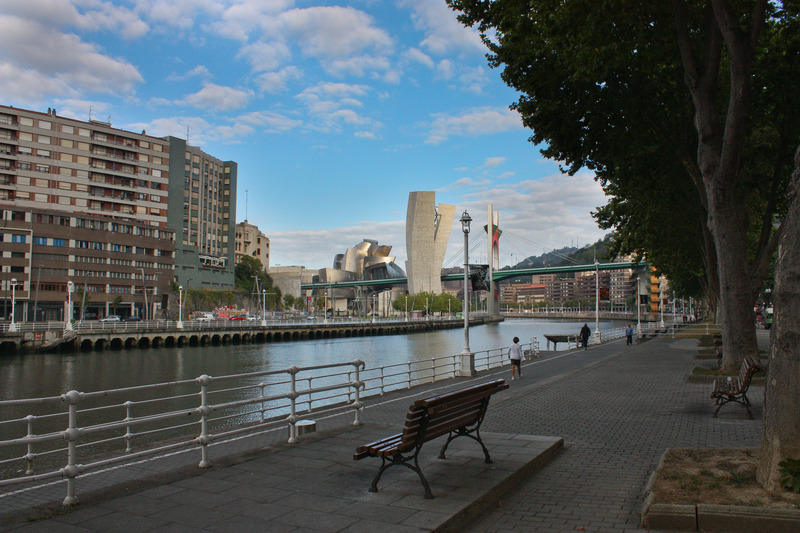 It was eerily chilling because the entire population in Bilbao was lining the sides of the river and the bridges to watch, and everyone was silent. It was pretty cool. After grabbing a quick sandwich for dinner, the real fireworks show started. They were being shot off from one of the open plazas int he old city. This means that if you are on the adjacent streets, you are pretty much directly underneath them. And that is exactly where we were. And I have to say, this fireworks show puts the 4th of July to shame. No joke. Each region in Spain prides themselves on their annual elaborate fireworks show, so it is almost a competition as to who can have the biggest and best one. I will upload a video of the finale in a bit. We took a day trip to San Sebastian the next day. San Sebastian is about an hour east of Bilbao, right on the coast. It is one of the most picturesque coastal towns I have seen. We didn’t get up the funicular to the lookout because we were too busy relaxing on the beach. It was quite nice. 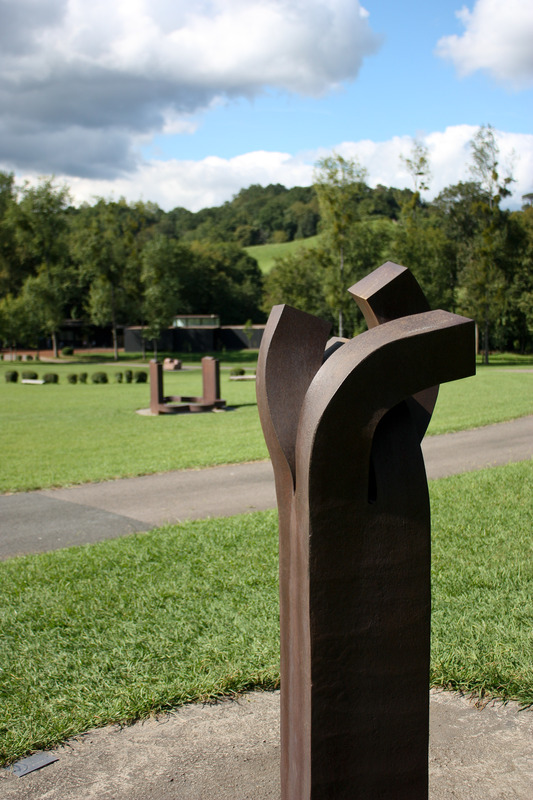 That same day we also visited a sculpture museum for the work of Eduardo Chillida – another specialist in corten and stone. It was a bit out of the city, which provided amazing scenery. We headed back to the hotel for a calm evening in preparation for our departure the next morning. This entry was posted in Northern Spain / Madrid and tagged art, beach, Bilbao, Eduardo Chillida, festival, France, Frank Gehry, Guggeheim, museum, San Sebastian, sculpture. Bookmark the permalink. Your photos are stunning, Ian! Sounds like it was a great trip. Hi, I found your beautiful picture NorthernSpain-35 on your site. Do you have this picture in even higher resolution, maybe. I would like to use this picture as a backwall in my house. Currently the resolution on your site is 7605x2669pixels. If you might have it even higher, I would be so greatfull, thx.